Saugus High School is an American public secondary school located in Saugus, Massachusetts. Walnut Hill School for the Arts is an independent boarding school for the arts located in Natick, Massachusetts, United States. Natick is a town in Middlesex County, Massachusetts, United States. Natick is near the center of the MetroWest region of Massachusetts, with a population of 32,786 at the 2010 census. Only 17 miles (27 km) west of Boston, Natick is considered part of the Greater Boston area. The center of population of Massachusetts in 2000 was in Natick. A 2014 census shows Natick's population was 34,230. This means between 2010 and 2014 Natick grew 3.6%, making it one of the fastest-growing towns in the Boston area. Marianne Craig Moore was an American modernist poet, critic, translator, and editor. Her poetry is noted for formal innovation, precise diction, irony, and wit. Mary Therese McCarthy was an American novelist, critic and political activist. She was introduced to Robert Lowell by Randall Jarrell in 1947, and they became great friends, mostly through their written correspondence, until Lowell's death in 1977. After his death, she wrote, "our friendship, [which was] often kept alive through years of separation only by letters, remained constant and affectionate, and I shall always be deeply grateful for it." They also influenced each other's poetry. Lowell cited Bishop's influence on his poem "Skunk Hour" which he said, "[was] modeled on Miss Bishop's 'The Armadillo.'" Also, his poem "The Scream" is "derived from...Bishop's story In the Village." "North Haven," one of the last poems she published during her lifetime, was written in memory of Lowell in 1978. Bishop had a large independent income from early adulthood, as a result of an inheritance from her deceased father, that did not run out until near the end of her life. This income allowed her to travel widely, though cheaply, without worrying about employment, and to live in many cities and countries which are described in her poems. She wrote frequently about her love of travel in poems like "Questions of Travel" and "Over 2000 Illustrations and a Complete Concordance." She lived in France for several years in the mid-1930s with a friend from Vassar, Louise Crane, who was a paper-manufacturing heiress. Upon receiving a substantial ($2,500) traveling fellowship from Bryn Mawr College in 1951, Bishop set off to circumnavigate South America by boat. Arriving in Santos, Brazil in November of that year, Bishop expected to stay two weeks but stayed 15 years. She lived in Petrópolis with architect Lota (Maria Carlota) de Macedo Soares, who was descended from a prominent and notable political family. Although Bishop was not forthcoming about details of her romance with Soares, much of their relationship was documented in Bishop's extensive correspondence with Samuel Ashley Brown. However, the relationship deteriorated in its later years, becoming volatile and tempestuous, marked by bouts of depression, tantrums and alcoholism. The relationship is depicted in the 2013 film Reaching for the Moon . For a major American poet, Bishop published very sparingly. Her first book, North & South, was first published in 1946 and won the Houghton Mifflin Prize for poetry. This book included important poems like "The Man-Moth" (which describes a dark and lonely fictional creature inspired by what Bishop noted was "[a] newspaper misprint for 'mammoth'") and "The Fish" (in which Bishop describes a caught fish in exacting detail). But she didn't publish a follow-up until nine years later. That volume, titled Poems: North & South—A Cold Spring , first published in 1955, included her first book, plus the 18 new poems that constituted the new "Cold Spring" section. Bishop won the Pulitzer Prize for this book in 1956. Then there was another long wait before her next volume, Questions of Travel , in 1965. This book showed the influence that living in Brazil had had on Bishop's writing. It included poems in the book's first section that were explicitly about life in Brazil including "Arrival at Santos," "Manuelzinho," and "The Riverman." But in the second section of the volume Bishop also included pieces set in other locations like "In the Village" and "First Death in Nova Scotia", which take place in her native country. Questions of Travel was her first book to include one of her short stories (the aforementioned "In the Village"). Reaching for the Moon (2013) is a Brazilian movie about Bishop's life when she was living in Brazil with Lota de Macedo Soares. The Portuguese title of the film is Flores Raras. Robert Traill Spence Lowell IV was an American poet. He was born into a Boston Brahmin family that could trace its origins back to the Mayflower. His family, past and present, were important subjects in his poetry. Growing up in Boston also informed his poems, which were frequently set in Boston and the New England region. The literary scholar Paula Hayes believes that Lowell mythologized New England, particularly in his early work. Louise Elisabeth Glück is an American poet. She was appointed Poet Laureate Consultant in Poetry to the Library of Congress in 2003, after serving as a Special Bicentennial Consultant three years prior in 2000. She won the National Book Award for Poetry in 2014 for Faithful and Virtuous Night. Henri Cole is an American poet, who has published nine collections of poetry and a memoir. His books have been translated into French, Spanish, Italian, and German. Randall Jarrell was an American poet, literary critic, children's author, essayist, and novelist. He was the 11th Consultant in Poetry to the Library of Congress—a position that now bears the title Poet Laureate of the United States. Frederick Seidel is an American poet. Charles Wright is an American poet. He shared the National Book Award in 1983 for Country Music: Selected Early Poems and won the Pulitzer Prize in 1998 for Black Zodiac. In 2014-2015 he was the 50th Poet Laureate of the United States. Charles Kenneth "C. K." Williams was an American poet, critic and translator. Williams won nearly every major poetry award. Flesh and Blood won the National Book Critics Circle Award in 1987. Repair (1999) won the 2000 Pulitzer Prize for Poetry, was a National Book Award finalist and won the Los Angeles Times Book Prize. The Singing won the National Book Award, 2003 and in 2005 Williams received the Ruth Lilly Poetry Prize. The 2012 film Tar related aspects of Williams' life using his poetry. John Allyn McAlpin Berryman was an American poet and scholar, born in McAlester, Oklahoma. He was a major figure in American poetry in the second half of the 20th century and was considered a key figure in the Confessional school of poetry. His best-known work is The Dream Songs. Gjertrud Schnackenberg is an American poet. Maria Carlota Costallat de Macedo Soares was a well-connected Brazilian woman who became a well-known landscape designer and architect. Despite having no degree in either area, she was invited by governor Carlos Lacerda to design and oversee the construction of Flamengo Park in Rio de Janeiro. She was born in Paris, France into a prominent, political family from Rio de Janeiro. "Beyond the Alps" is a poem by Robert Lowell. Jonathan Galassi is the president and publisher of Farrar, Straus and Giroux. Saskia Hamilton is an American poet. She graduated from Kenyon College with a B.A., from New York University with an M.A., and from Boston University with Ph.D. She worked for the Folger Shakespeare Library, and the Lannan Foundation and now teaches at Barnard College. She was a judge for the 2009 Griffin Poetry Prize. 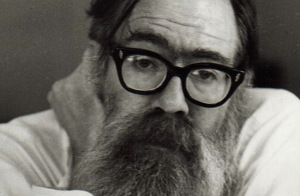 The Dream Songs is a compilation of two books of poetry, 77 Dream Songs (1964) and His Toy, His Dream, His Rest (1968) by the American poet John Berryman. According to Berryman's "Note" to The Dream Songs, "This volume combines 77 Dream Songs and His Toy, His Dream, His Rest, comprising Books I through VII of a poem whose working title, since 1955, has been The Dream Songs." So as this note indicates, Berryman clearly intended the two books to be read as a single work. In total, the work consists of 385 individual poems. The Old Glory is a play written by the American poet Robert Lowell that was first performed in 1964. It consists of three pieces that were meant to be performed together as a trilogy. The first two pieces, "Endecott and the Red Cross" and "My Kinsman, Major Molineaux" were stage adaptations of short stories by Nathaniel Hawthorne, and the third piece, "Benito Cereno," was a stage adaptation of the novella by Herman Melville. Maureen McLane is an American poet, critic, and professor. She received the National Book Critics Circle Award. 1 2 3 "Poetry". Past winners & finalists by category. The Pulitzer Prizes. Retrieved 2008-04-25. 1 2 3 "National Book Awards – 1970". National Book Foundation. Retrieved 2012-04-07. ↑ "The Nobel Prize in Literature Takes This Year Off. Our Critics Don't" . Retrieved September 23, 2018. ↑ "Elizabeth Bishop". Worcester Area Writers. Worcester Polytechnic Institute. Archived from the original on September 5, 2008. Retrieved April 25, 2008. 1 2 Millier, Brett C. (1995). Elizabeth Bishop: Life and the Memory of It. University of California Press. ISBN 9780520203457. ↑ "Elizabeth Bishop". Walnut Hill School. Archived from the original on May 9, 2008. Retrieved April 25, 2008. ↑ "Elizabeth Bishop, American Poet". Elizabeth Bishop Society. Vassar College. Retrieved April 25, 2008. ↑ "Elizabeth Bishop – Poet". ↑ Kalstone, David. Becoming a Poet: Elizabeth Bishop with Marianne Moore and Robert Lowell. University of Michigan Press (2001): 4. In an early letter to Moore, Bishop wrote: "[W]hen I began to read your poetry at college I think it immediately opened up my eyes to the possibility of the subject-matter I could use and might never have thought of using if it hadn't been for you.—(I might not have written any poems at all, I suppose.) I think my approach is so much vaguer and less defined and certainly more old-fashioned—sometimes I'm amazed at people's comparing me to you when all I'm doing is some kind of blank verse—can't they see how different it is? But they can't apparently." 1 2 Voices and Visions Series. Elizabeth Bishop Episode. New York Center for Visual History: New York, 1988. ↑ Stewart, Susan (2002) Poetry and the Fate of the Senses. University of Chicago Press 141, 357 fn.78 and fn.79). ↑ Bishop, Elizabeth. Poems, Prose, and Letters. New York: Library of America, 2008. 733. ↑ Lowell, Robert (2003) Collected Poems New York: Farrar, Straus, and Giroux, p1046. ↑ Lowell, Robert. (2003) Collected Poems New York: Farrar, Straus, and Giroux p326. ↑ O'Rourke, Meghan. "Casual Perfection: Why did the publication of Elizabeth Bishop's drafts cause an uproar?" Slate. 13 June 2006. ↑ Bishop, Elizabeth. "In the Village." Questions of Travel. ↑ Spivack, Kathleen. Robert Lowell and His Circle: Sylvia Plath, Anne Sexton, Elizabeth Bishop, Stanley Kunitz, and Others. Boston: Northeastern University Press, 2012. ↑ Words in Air: the Complete Correspondence between Elizabeth Bishop and Robert Lowell. Ed. Thomas Travisano and Saskia Hamilton. New York: Farrar, Straus, and Giroux, 2008. ↑ Ruby (January 24, 2012). "Elizabeth Bishop: Sestina". Elizabeth Bishop. Retrieved March 9, 2018. ↑ McNamarra, Robert. "Sestina". staff.washington.edu. Retrieved March 9, 2018. ↑ "Analysis of Sestina by Elizabeth Bishop". Owlcation. Retrieved March 9, 2018. ↑ Wilson, Scott. Resting Places: The Burial Sites of More Than 14,000 Famous Persons, 3d ed. : 2 (Kindle Locations 3979–3980). McFarland & Company, Inc., Publishers. Kindle Edition. ↑ "Questions of Travel". The New York Times , July 9, 2010. ↑ "Book of Members, 1780–2010: Chapter B" (PDF). American Academy of Arts and Sciences. Retrieved April 10, 2011.